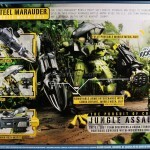 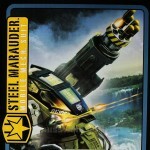 The STEEL MARAUDER MOBILE MECH Suit boosts strength and speed to tremendous levels! 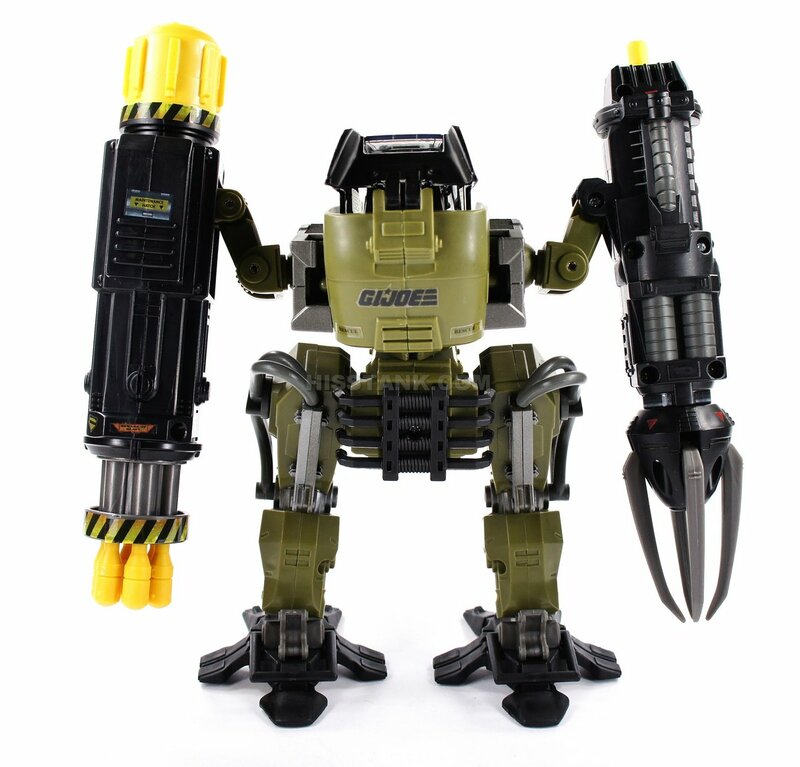 This highly advanced battle armor gives the G.I. 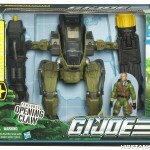 JOE team powerful support and firepower in the battle against COBRA! 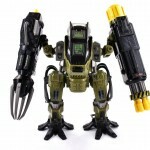 KICKSTART is an expert in electrical engineering, bioengineering and computer technology for the G.I. 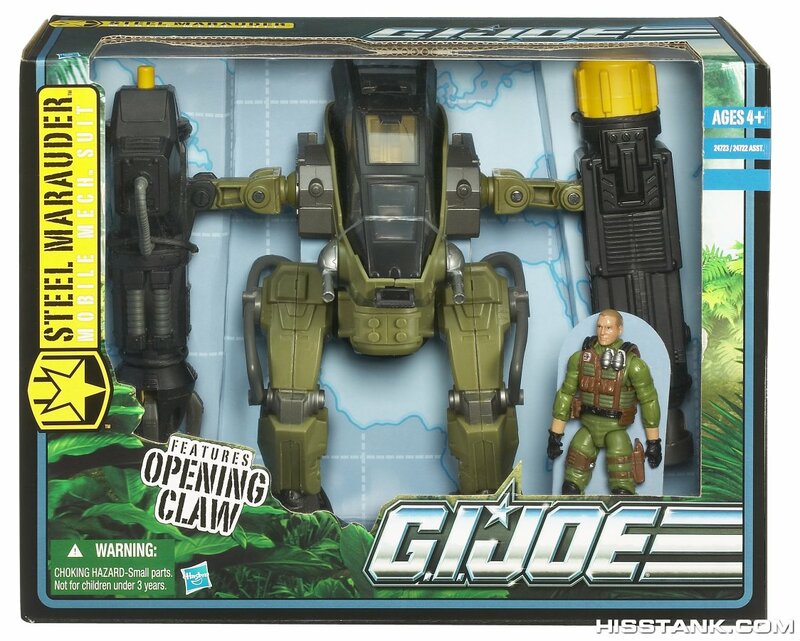 JOE team. 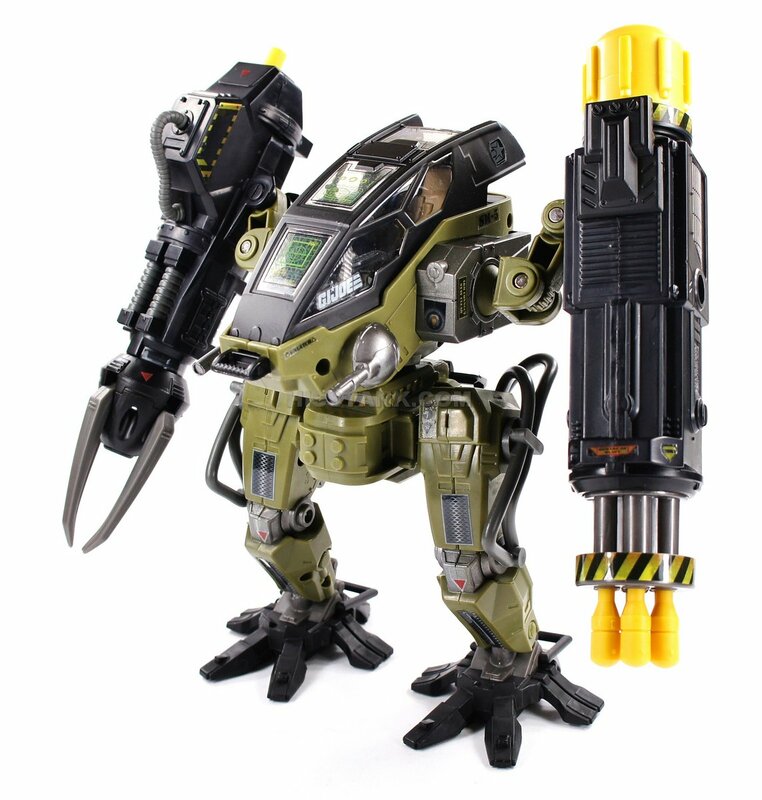 This Caltech alumnus and die-hard gamer understands every microcircuit of the team’s advanced MOBILE MECH Suit. 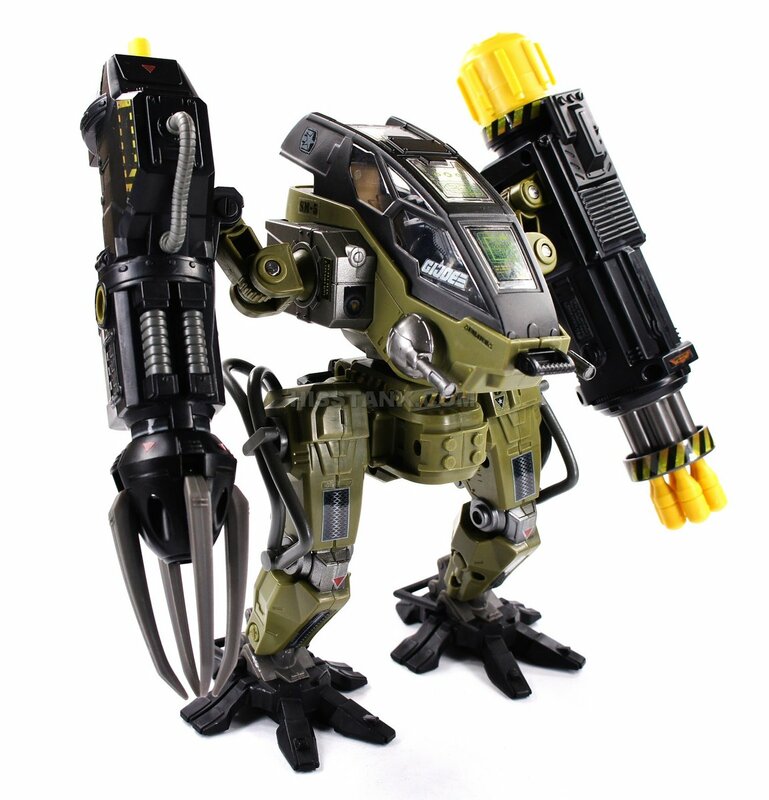 During a jungle mission, he uses the suit to deactivate an electronic perimeter warning system and subdue COBRA troops, giving the team easy entry into a COBRA facility. 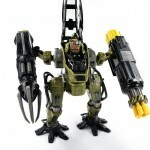 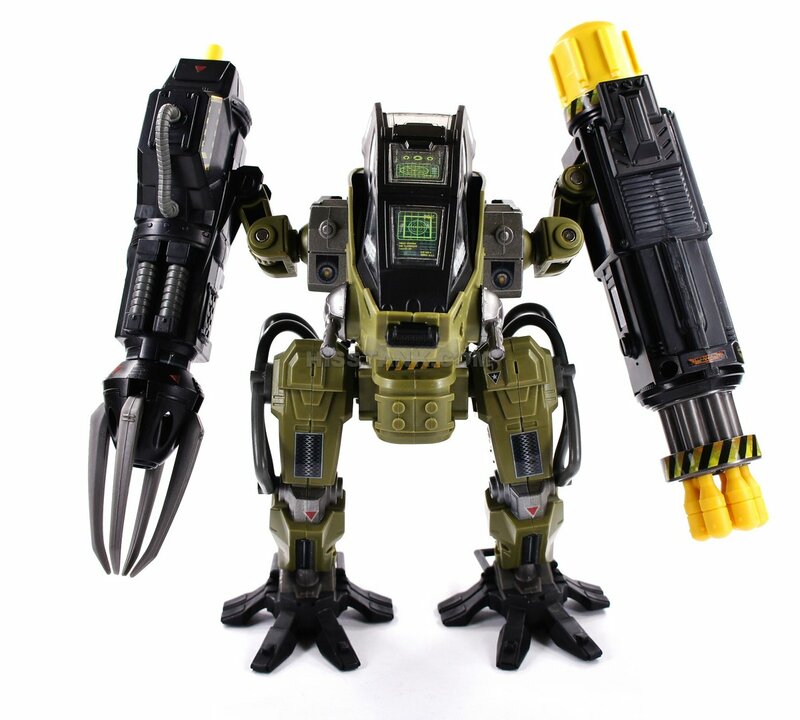 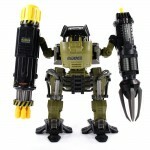 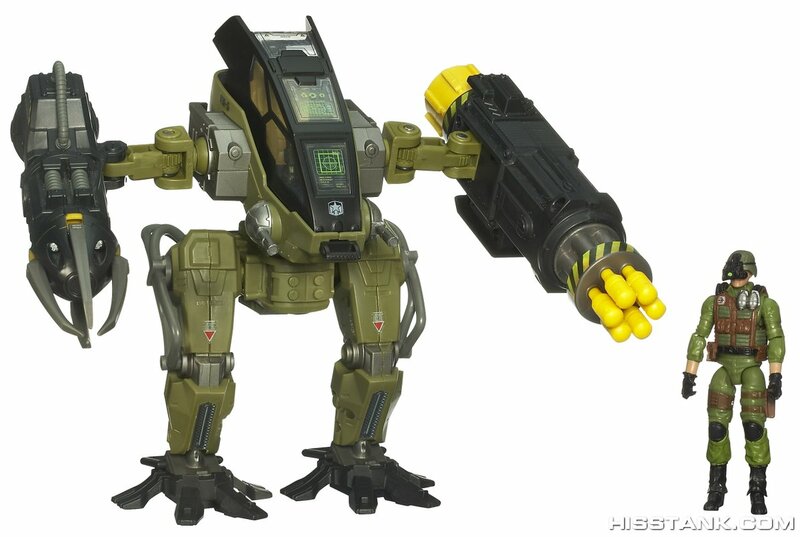 Put your heroice KICKSTART in the ultimate battle suit: this fully-poseable STEEL MARAUDER MOBILE MECH Suit! 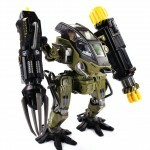 Open the cockpit to set your figure inside and prepare for a knock-down, drag-out fight. 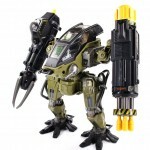 This exciting suit packs some mean surprises for when battles arise — the firing gatling cannon accessory fires six “missiles” and the opening capture claw accessory can “grab” enemies as they try to retreat. 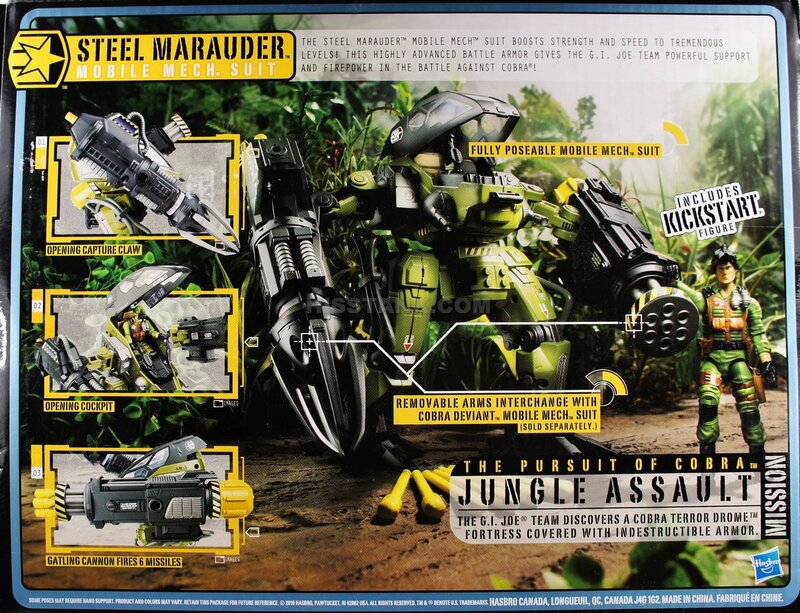 In this suit, your hero figure is virtually unstoppable — but does he have what it takes to defeat the bad guys? 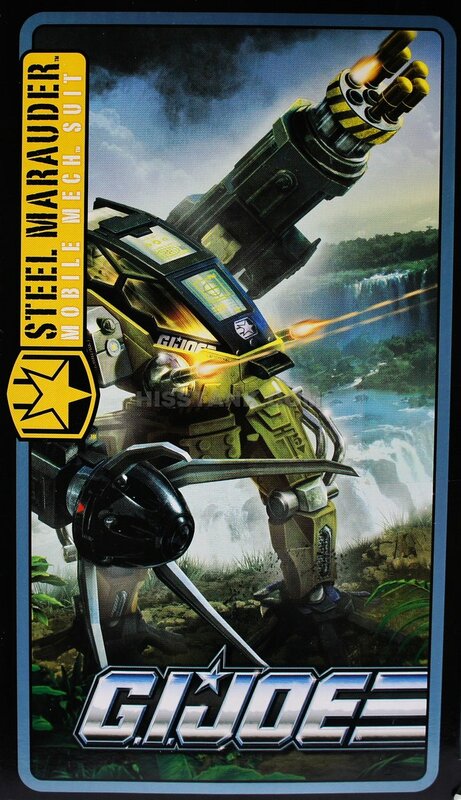 Only you can decide! 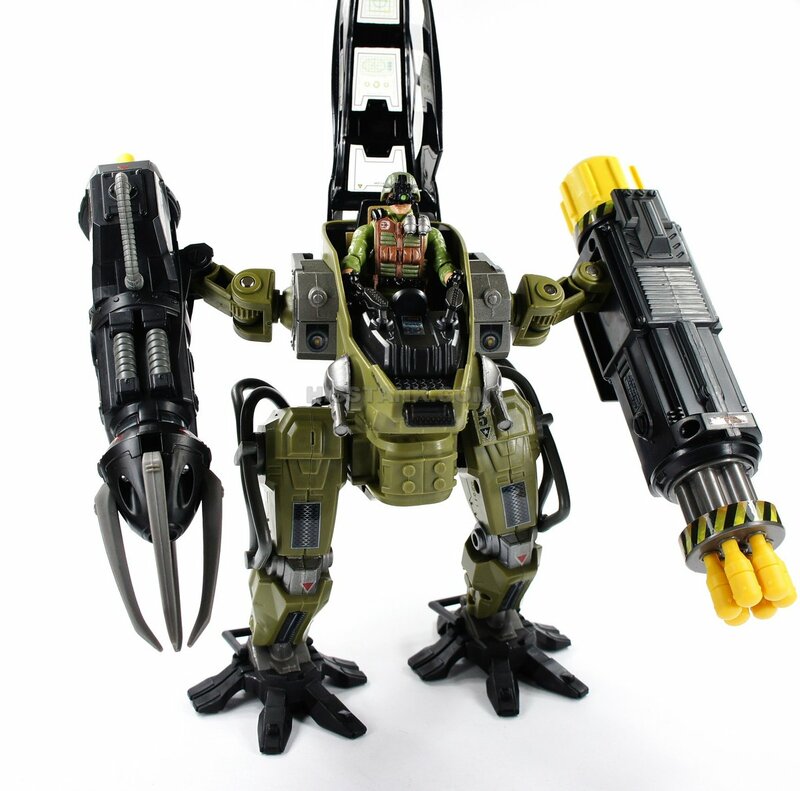 Missile Arm with Six Missiles; Claw Arm. 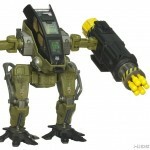 Both arms can be interchanged with the Cobra Deviant Mobile Mech Suit.